Ferd. Piatnik & Söhne. Printed in 1973. 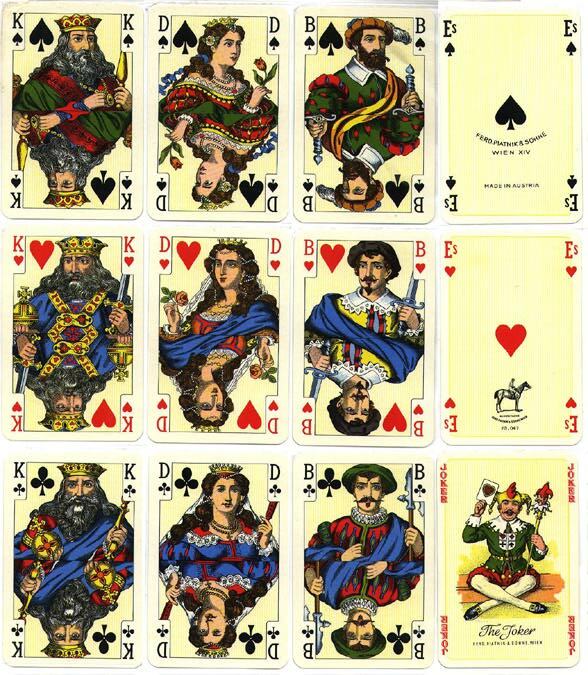 According to Joop Muller, made for the Scandinavian market, with the "Es" on the aces, so despite my mother's "Austria" label, it was probably purchased in Denmark.